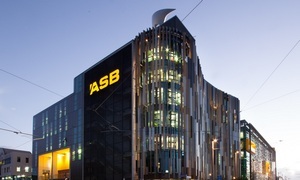 ASB has posted annual profit of more than $1 billion for the first time. ASB's June year net profit after tax rose $156 million, or 17%, to $1.069 billion from $913 million last year. The profit increase came as total operating income gained $160 million, or 7%, to $2.4 billion, outstripping $8 million, or 1%, growth in expenses to $834 million. Loan impairments dropped $61 million, or 47%, to $69 million. Net interest income was up $89 million, or 5%, to $1.9 billion. Its the seventh consecutive year ASB has posted record annual profit. The bank's cash net profit after tax, the measure it prefers to highlight, rose 13% to $1.033 billion. “Over the past year, we have remained focused on delivering sustainable, diversified balance sheet growth across our key customer portfolios. All our business units performed well and we continue to experience sustained momentum, despite some external headwinds and a rapidly evolving financial services market,” ASB CEO Barbara Chapman said. "Home loans increased by 7% against the prior year while business, commercial and rural lending grew by 11%. This contributed to an increase in total customer lending of 8% on the previous financial year. At the same time, customer deposits grew by 6% in a highly competitive market for bank deposits." Meanwhile, parent Commonwealth Bank of Australia (CBA) says its New Zealand life insurance business, Sovereign, is on the block. "We are in discussions with third parties in relation to their potential interest in our life insurance businesses in Australia and New Zealand. The outcome of those discussions is uncertain. While the discussions may lead to the divestment of those businesses, we will also consider a full range of alternatives, including retaining the businesses, reinsurance arrangements or other strategic options." CBA describes CommInsure in Australia and Sovereign as "strong businesses with scale, expertise, competitive products and access to attractive distribution channels." Sovereign's June year cash net profit after tax was down $3 million to $102 million. ASB's net interest margin fell 15 basis points year-on-year to 2.18%, which Chapman blamed on increased funding costs and costs associated with customers breaking fixed rate loans.The bank's cost to income ratio dropped 140 basis points to 35.8%. The drop in loan impairments was attributed to reduced provisioning required for loans to dairy farmers as the outlook for the dairy sector improves. Meanwhile, ASB paid annual ordinary dividends of $450 million, more than double last year's $200 million. ASB's "other banking income" rose 5% to $404 million boasted by higher card income. Funds management income rose 14% to $97 million. CBA posted a 5% rise in cash net profit after tax to A$9.9 billion. Its dividend per share was up A9 cents to A$4.29, equivalent to 75% of cash profit. CBA's net interest margin fell three basis points to 2.11%, and its cost to income ratio fell 60 basis points to 41.8%. And here's its parent CBA's announcement. Cashback for mortgage holders, IPads and grocery vouchers for all.Interest only jumbo credit. Lets double house prices .Is 7 the lucky number. Does that include the possible proceeds of crime, given the economy grew a fraction of that rate of profit increase? Real estate agents perhaps being complicit in the illegal shifting of money out of China, too? $380m tax paid according to their statement. It looks like ASB is struggling to get by. How can they survive with only $1b in profit? Just goes to show, pumping out mortgages is the best gig in town. You have the legislation, implicit guarantees, the loyalty of the sheeple, and global monetary experiments all contributing to grease that billion. Really? Who is "we"? From my understanding, in the event of bank failure, "we" is bank deposit holders followed by shareholders. The taxpayer is not responsible for anything, except the implications in the aftermath. Wrong way around - it's Shareholders first. Then unsecured creditors, including deposit holders. This is so cool (pun not intended). There is a reason why no likes banks. The day will come when we will by-pass them. Yes really JC, I did not claim that the taxpayers were responsible in the event of a failure, may I suggest you read the OBR in depth, also cast your mind back to the BNZ saga not one but two.. So "we" is a subset (bank shareholders and creditors) of taxpayers. In the case of BNZ, the bank was ultimately backstopped by the taxpayer. OBR policy does not necessarily mean the taxpayer will not be on the hook. That is what some people perceive as the "implicit guarantee." I thought the bank's profits were under pressure, that they had to get funds from offshore that are expensive, that's why they raised our interest rates. So it's all not true? they just wanted more money for themselves? Wow… this is huge profit. Even after deducting the taxes, the company seems to be in a very strong condition. I believe that the shareholders would have hit a jackpot by now. Buying the shares of this company is something that is impossible for the time being.